LAHORE, July 9, 2014 - A policeman stands guard near a train at a railway station due to security high alert in eastern Pakistan's Lahore, July 9, 2014. 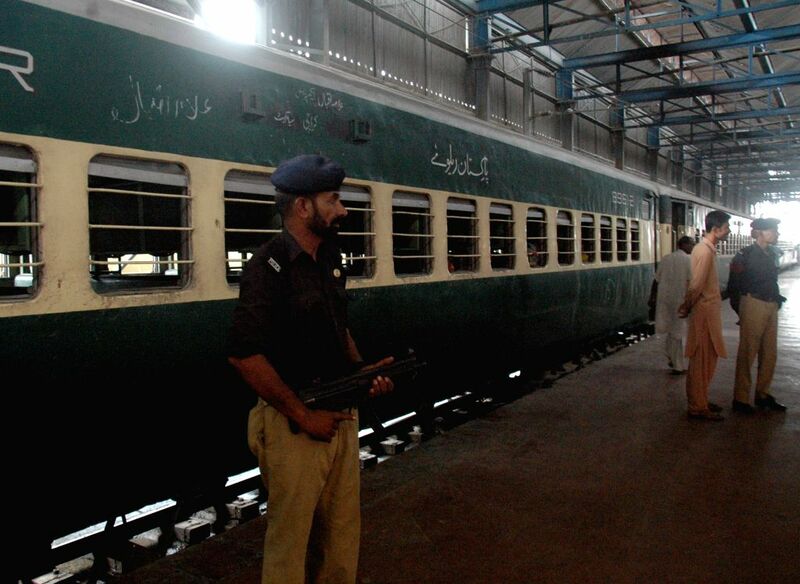 Security tightened in Lahore railway station on Wednesday. 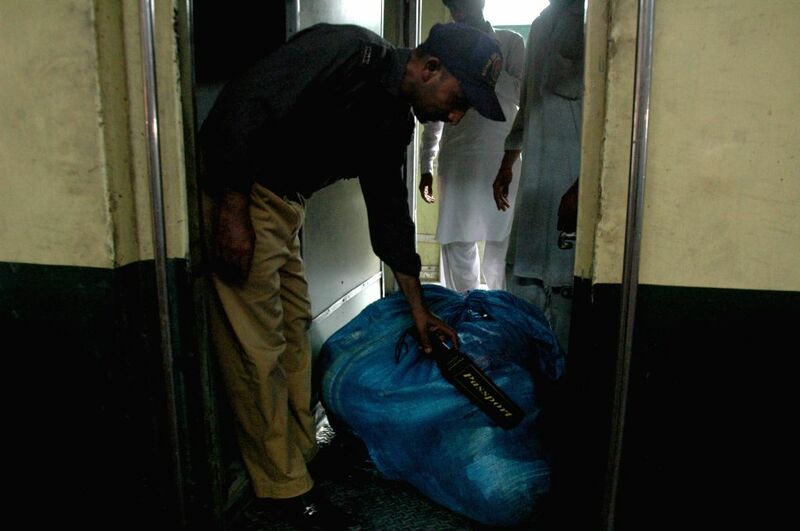 A policeman scans the luggage of passengers at a railway station due to security high alert in eastern Pakistan's Lahore, July 9, 2014. 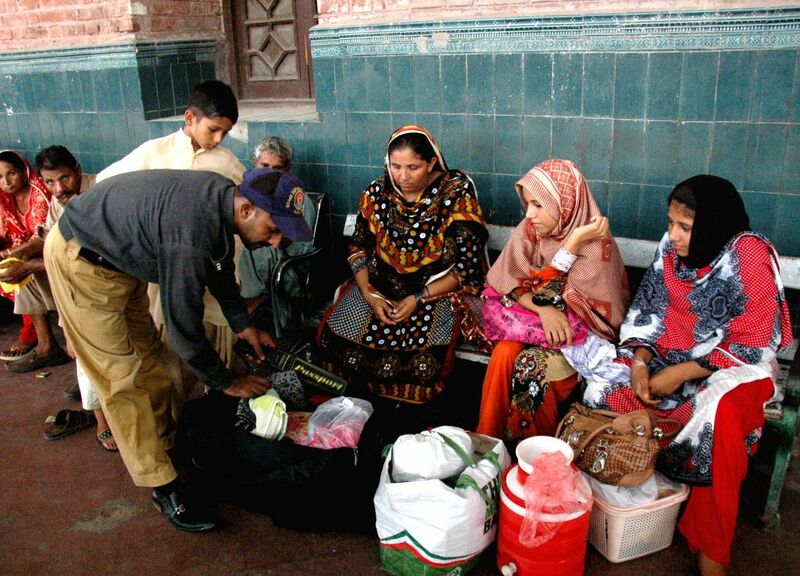 A policeman scans luggages at a railway station due to security high alert in eastern Pakistan's Lahore, July 9, 2014.